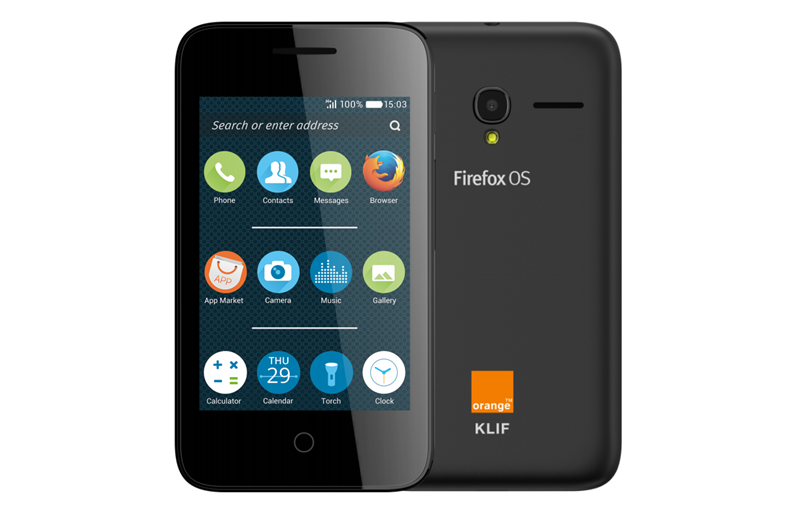 Firefox OS smartphones are now shipping in Africa with the 3G Orange Klif. French mobile carrier Orange S.A and Mozilla are releasing the smartphone in Senegal and Madagascar for what equals $40. “It’s our pleasure to continue to work closely with Alcatel OneTouch on developing more Firefox OS devices that put the power of the Web in people’s hands,” said Mozilla President Dr. Ling Gong. The Orange Klif comes with a 3.5″ HVGA screen and 2 mega pixel camera. The handset has about 810 hours of standby on a 1300mAh battery. The Orange Klif is looking at a release that will also hit Botswana, Cameroon, Egypt, Kenya, and other markets in Africa. Mozilla’s push into the African market started with their partnership with carrier MTN which saw the Firefox OS on Alcatel’s OneTouch Fire E. The partnership with MTN was announced in April, but the Orange Klif marks the first team of Mozilla and Orange in the market.